I’m so excited to share this way of making no knead bread even faster than my “faster no knead bread” recipe, which takes over four hours. And that was fast compared to the original overnight method, which took over 12 hours. But now, I am making it in two hours! This recipe uses the same ingredients as my original loaf but with more yeast. Instead of 1/4 teaspoon, I use 2 teaspoons (one packet) of instant yeast. 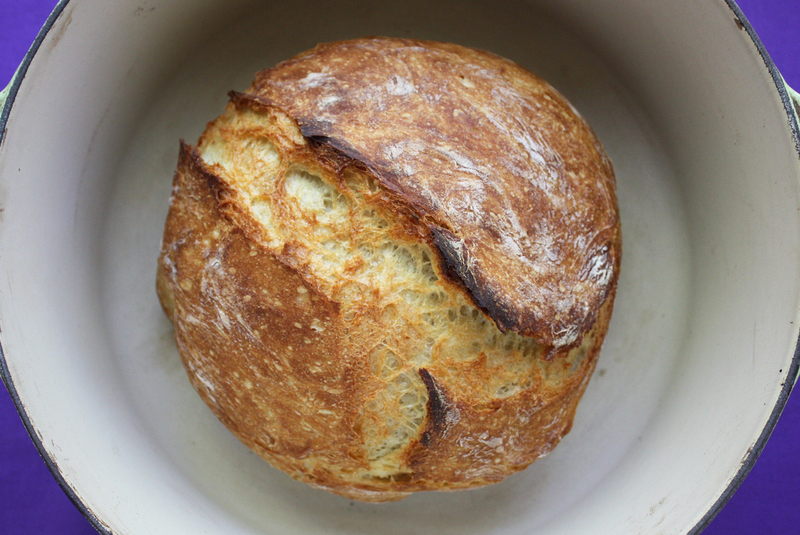 17 Comments on "Make No Knead Bread in 2 Hours!" I’m doing the 4 hr.recipe version with the 1/4 teaspoon of yeast. Looks delicious. And, now I know what aerating flour is all about. I would love to make an olive oil rosemary variation of this bread, how much do i use of each? Sorry……….I meant to ask about aerating *flour*! Please see the “How-To” section in my blog. Please tell me the steps to aerate bread. I just want to make sure I’m doing it exactly right. Thank you! I have been making the 2 hour no knead bread. I also tried bread flour. I like it but not a huge difference. My question is what is the best way to store and keep this bread fresh? I tried putting it in a paper bag which was okay. What about aluminum foil? Any thoughts? I had the same issue. Bought some perforated plastic bread bags from King Arthur Flour and they work great. Should also be available on amazon. Why do you prefer a single rise bread? Will the two hour recipe work for the rye bread as well? Please see my no knead olive bread recipe. Yesterday I made the no knead bread using whole wheat flour for half of the required flour. Delicious! I want to try using semolina next time. 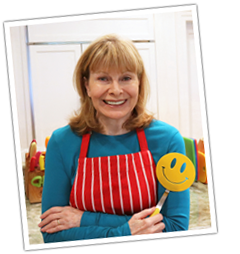 Thank you so much for the wonderful recipes…just love the humor in your videos! When will you make new videos on YouTube? Really miss your videos!!! I, accidentally, found you on You Tube and I was thrilled because I watched you years ago on your talk show and loved you. I watched your videos on your website and found so many I will try. I’m starting with the Baked Donuts– just received my donut pan from Amazon. Also, I’m going to try the two hour bread. Thanks for these great recipes. Hi Jenny! Just discovered you on you tube today as I was searching bread recipes! I made your whole wheat bread this morning and your no knead loaf is in the oven right now! You are so cute to watch! Thanks for your adorable videos and yummy recipes!